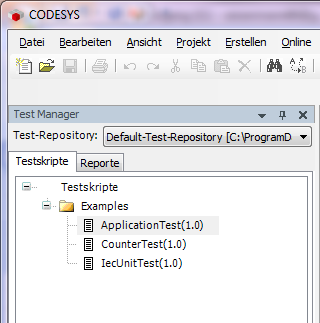 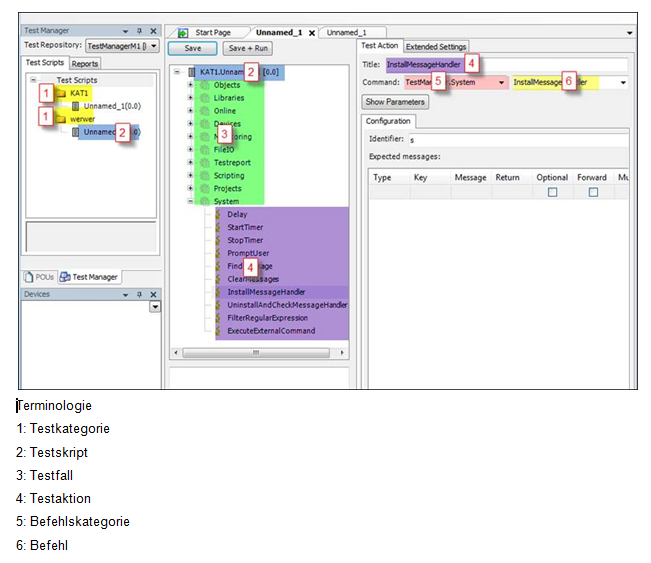 The CODESYS Test Manager enables the programming and execution of automated tests of applications and libraries developed with CODESYS (32/64 Bit). 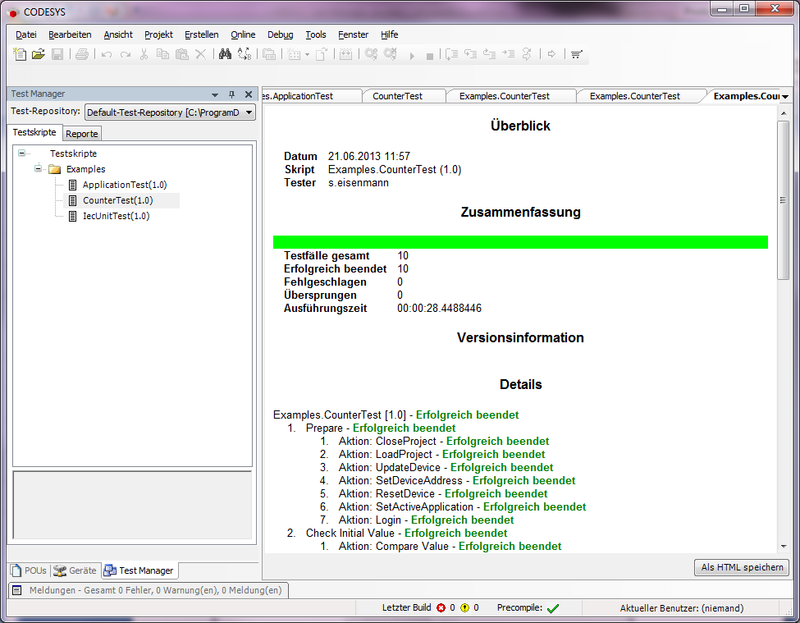 The CODESYS Test Manager is a product that can be purchased with the tool bundle of the CODESYS Professional Developer Edition. 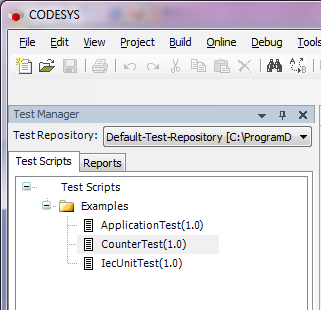 The CODESYS Test Manager allows the programming and execution of automated tests, above all of applications and libraries developed with CODESYS. 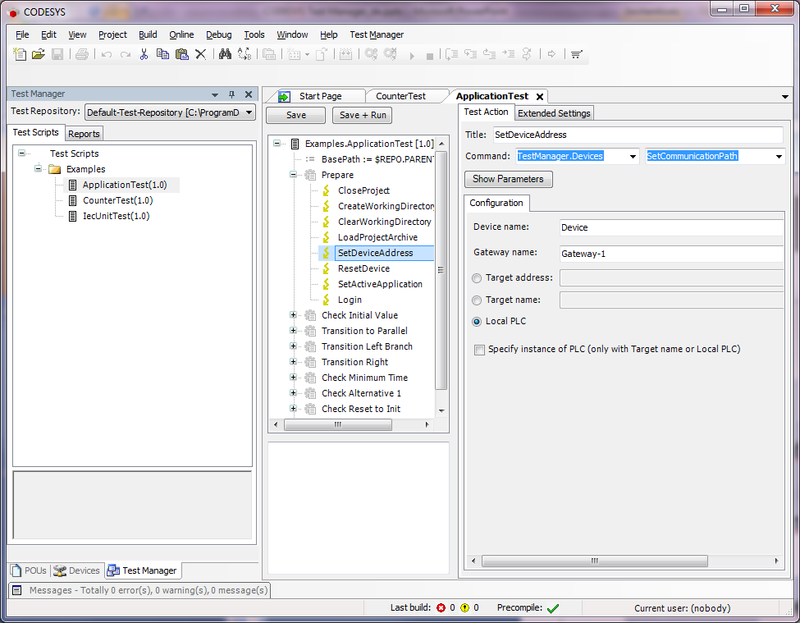 This applies both for 32- and 64-bit variants. 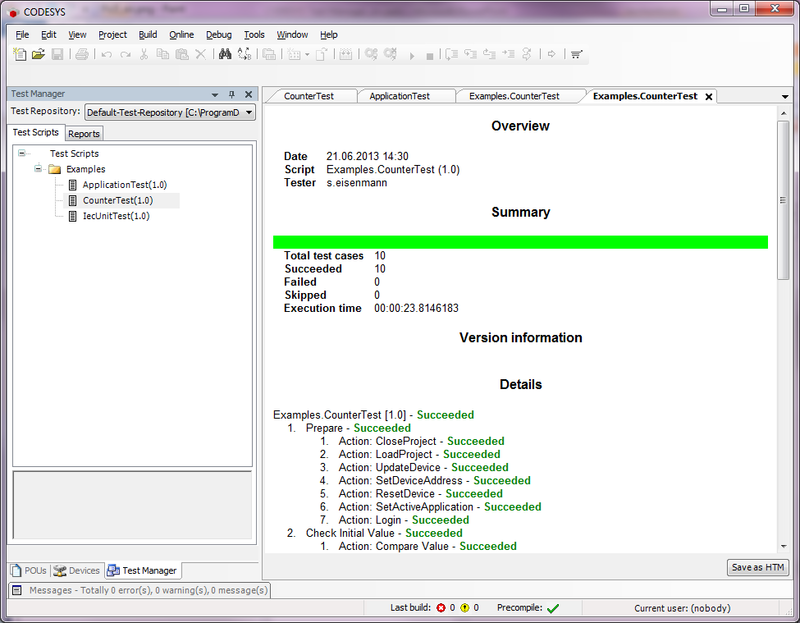 The CODESYS Test Manager is the central component for test automation and management and it serves most primarily for the test of applications and libraries. 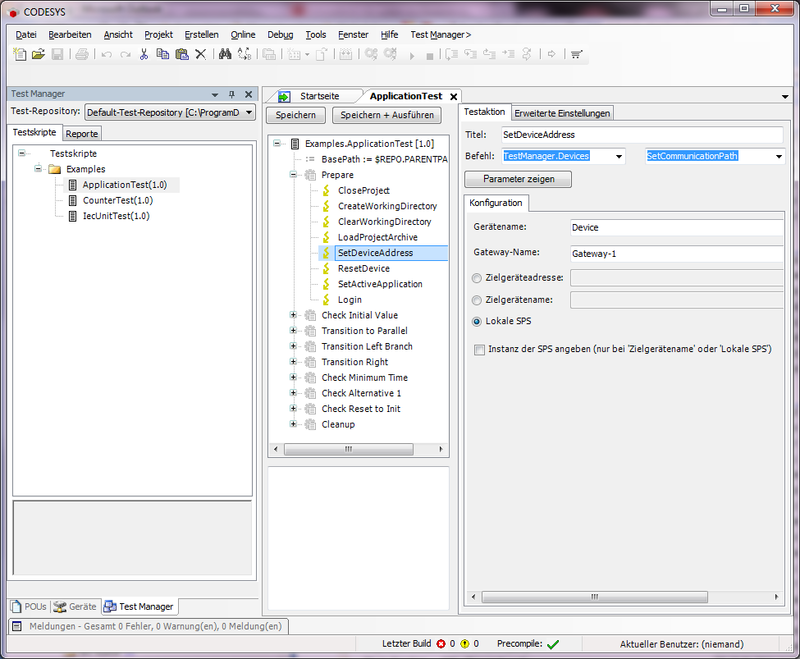 Additional Requirements Subscription of the CODESYS Professional Developer Edition. base class of multitest not easy to use.